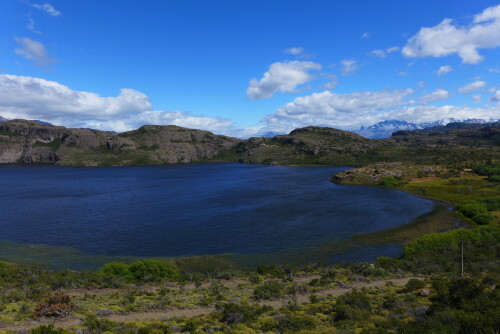 A common view in Patagonia, a body of water with snow capped mountains looming in the background. 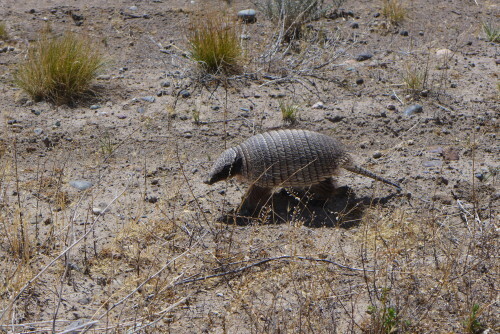 This was my goodbye to this wonderful place. 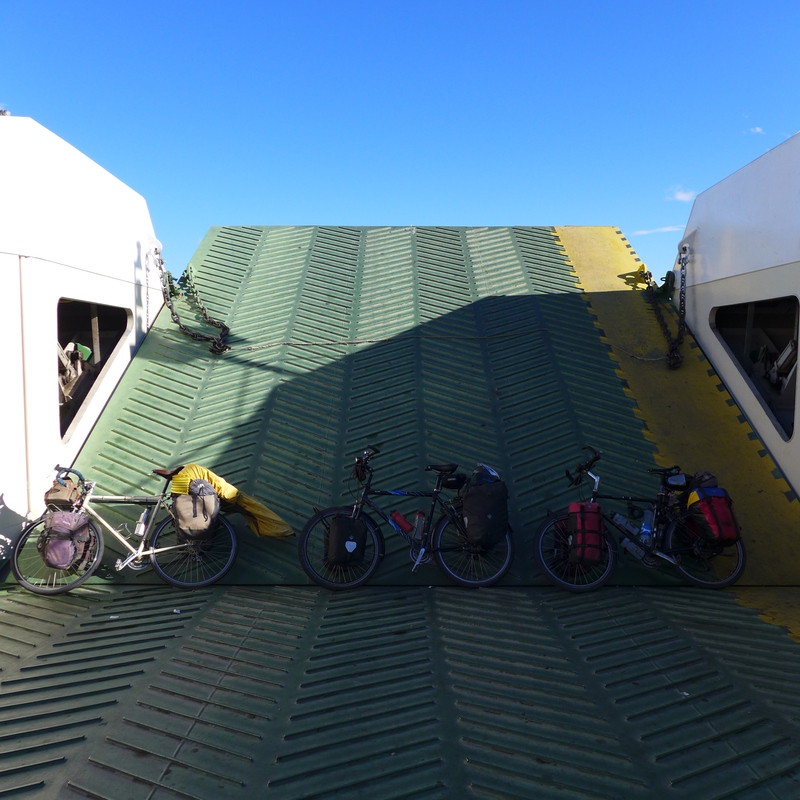 Then the Lago Carrera came into view and in the evening i took a ferry across it together with two other cyclists from germany. 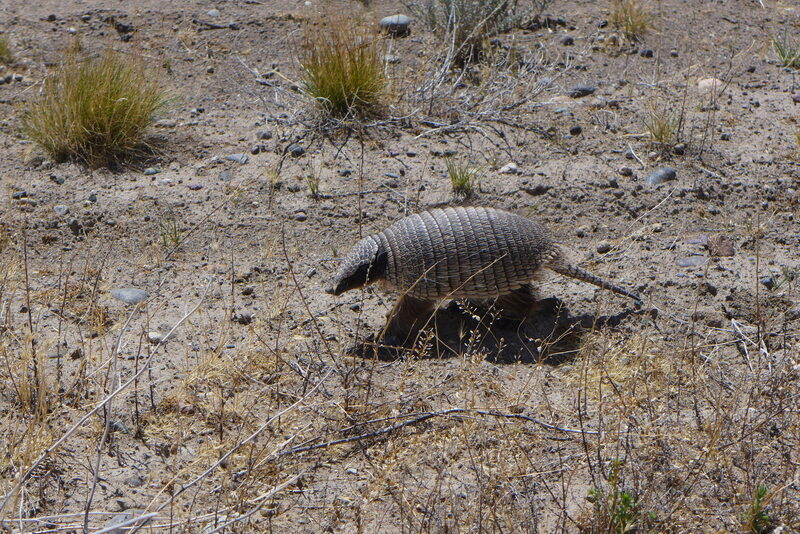 …not much was to be seen besides some armadillos. The road kept following the lake with the only difference being that it now was called Lago Buenos Aires. 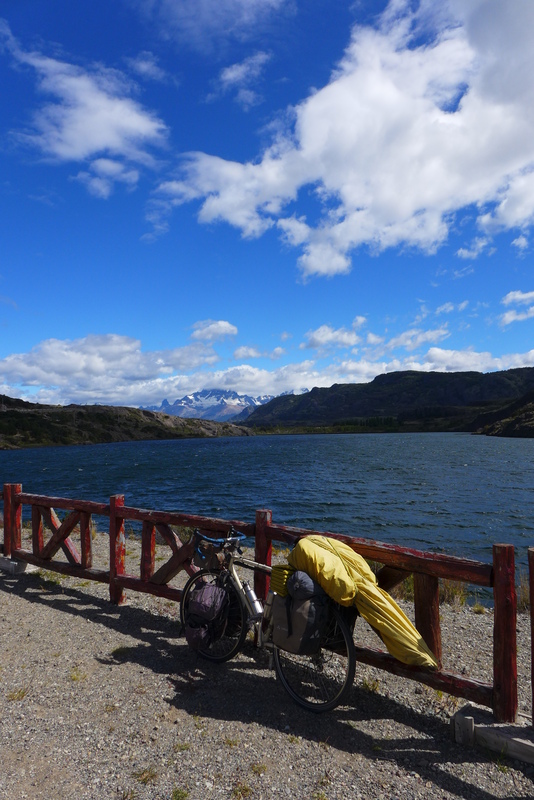 And it was pleasant enough with another tailwind keeping the pedaling effort to a minimum until reaching the small town of Perito Moreno. 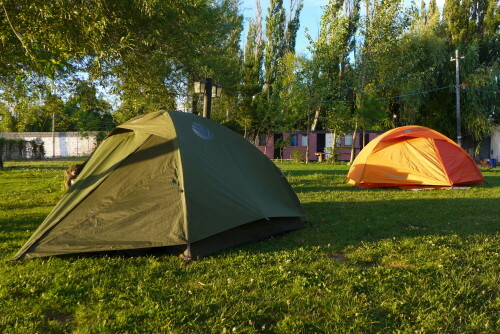 On the nice municipal campground my neightbour had pitched the same tent as mine in the other available colour less optimized for stealth camping. 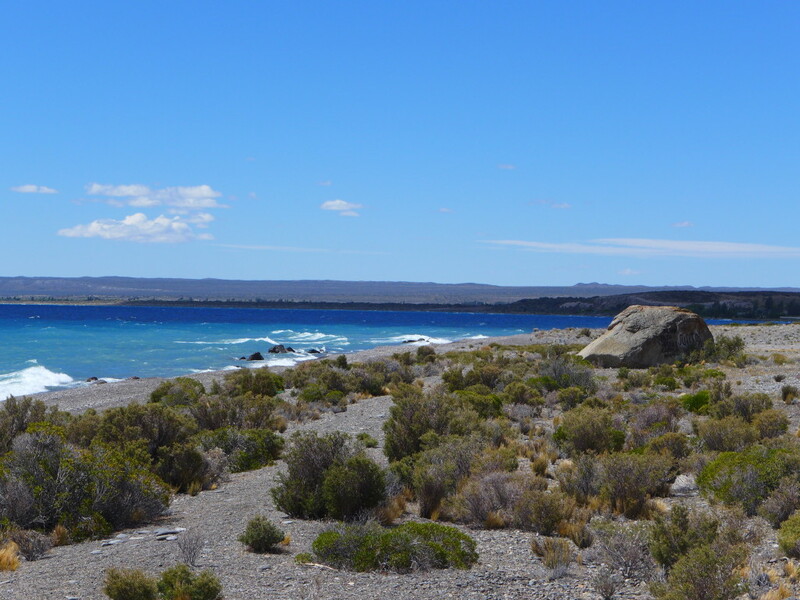 From here it would be all buses, and hopefully a train in between, until Buenos Aires.